Scientists have known for years that people with an autoimmune disorder — in which the body’s immune system mistakenly attacks a healthy part of the body — are at higher risk of developing another autoimmune disorder. This has been shown to be particularly true for Type 1 diabetes, in which the immune system attacks the insulin-producing beta cells of the pancreas, and celiac disease, in which it attacks the small intestine after ingestion of gluten. Even though celiac disease affects only about 1 percent of the U.S. population, it affects about 10 percent of people with Type 1 diabetes. The relationship between the two diseases naturally raises a question: What accounts for this connection? Scientists have speculated that there might be genetic factors that make the immune system more likely to misbehave in both cases. But some researchers have also wondered if there’s an environmental connection between the two disorders, possibly related to consumption of gluten. That’s what a recent study sought to find out. Published in February 2019 in the journal Diabetes Care, the study followed over 1,900 children at increased risk for Type 1 diabetes because of a family or genetic connection. Researchers collected blood samples from the children when they were 9, 15 and 24 months old, and every year after that until they were about 13 years old, on average. Each blood sample was tested for autoantibodies associated with Type 1 diabetes — indicating that the disease process may be under way, even if it hasn’t caused the pancreas to stop producing insulin yet. They also asked parents to submit food frequency questionnaires for their children, which allowed the researchers to estimate their gluten intake. During the follow-up period, 178 participants developed markers of autoimmunity, and out of these, 56 went on to develop Type 1 diabetes. 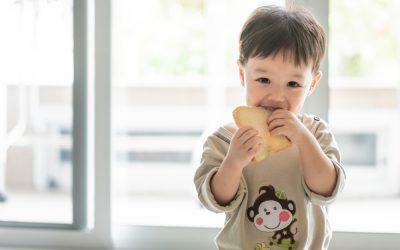 The researchers found no relationship between gluten intake and autoantibodies between ages 1 and 2, or at any time after that in the follow-up period. There was also no relationship between gluten intake and progression from autoimmunity to Type 1 diabetes. The only connection between gluten and diabetes-related outcomes was that children who were under 4 months old when first exposed to gluten were more likely to progress from autoimmunity to Type 1 diabetes, compared with those who were 4 to 5.9 months old when introduced to gluten. However, they admitted that there were limitations to their findings, including the fact that they couldn’t measure actual gluten intake, as opposed to what was reported on questionnaires, or account for other factors that might influence both gluten intake and risk of autoimmunity or diabetes. While more research could contribute to a fuller picture, based on this single study, it looks like gluten intake after 4 months of age isn’t related to development of autoimmunity or Type 1 diabetes in high-risk children.